No-drip faucet keeps your serving station clean and enables convenient dispensing into cup or beverage server. 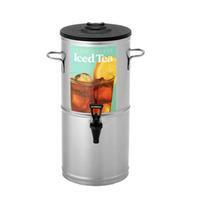 Stainless Steel handles are positioned for added comfort and easy transport to serving stations. Durable stainless steel is easy to clean.